Keeping in mind the essential need for people to learn and share about early learning in the digital age, we at EdTechReview started a series of posts around trends and issues in early education last month, and reached out to school leaders having success stories in early childhood education. The third post in the series collects inputs from Gayatri.R.P who is the VP-Preschools at Hippocampus Learning Centres; who shares insights on how they are delivering high quality preschool education in India. 1. What are the emerging trends you notice in early childhood education (in India or globally)? The importance of early childhood education (ECE) is no longer a question mark. One sees countries across the globe taking measures to effect ECE programs or integrate it into their national school curriculum. Pre-schools education for 4 to 5 year olds has been clearly mandated in the Draft National Education Policy 2016. Some private schools have started to extend ECE to RTE students. They see merit in ensuring that a child coming in through RTE quota is as prepared for primary education as most other privileged children. Several state bodies are experimenting with ECE in government schools to stem dropouts at later primary levels. Efforts are being made to train Aanganwadi teachers to deliver ECE programs. The general populace even in rural India has begun to see the merits of early learning interventions and how it impacts later performance in school. They are willing to invest time and money on getting their children to be “school-ready”. The momentum is very heartening; implementation could be faster though. 2. What are some of the major challenges of early learning and running a preschool (chain) in a country like India? The first challenge is a lack of a well thought through policy on early learning and preschools. Most state bodies extend the existing policies for primary to pre-primary for want of information and clarity. Effective pre-school interventions require a differentiated environment. Several preschool chains offer this through stand-alone preschools. Lack of policy for such entities throws further hurdles in their path. Further, education in India is a state subject and this adds to the complexities of operating in different states. Another major challenge is the lack of awareness of child-centric pedagogy among parents and most school operators and school leaders. This malaise can be seen across government and private providers. Concepts like learning through play and activity based learning are still alien to many. Use of such methodologies is frowned upon or dealt with suspicion. Others who are willing to apply such pedagogy are wary of how children would adapt to chalk and talk methods once they enter primary level. 3. How do you think your schools differ from others? Hippocampus Learning Centres provide high quality preschool education at low cost to children in rural India. The Hippocampus curriculum incorporates best practices from different learning systems such as the Montessori, Waldorf and Steiner and these have been implemented very effectively in the rural milieu. Such interventions were available only to the high income families in cities in India. It’s unique STEP assessment system moves away from the practice of labelling children as “smart or weak in a subject”. It works as an enabler in ensuring a holistic intervention that addresses the cognitive, the socio-emotional, the physical and the creative development of its students. Parents in these villages have begun to view learning and progress differently now. The Hippocampus centres stand out in their ability to make learning exciting and fun for children in villages and in delivering age-appropriate learning outcomes that prepares them well for entry into grade 1. 4. What are your plans for expansion (in India or abroad)? 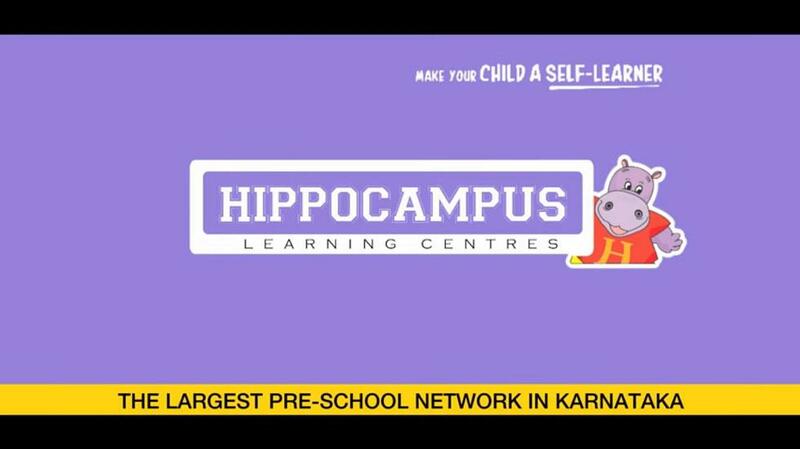 Hippocampus Learning Centres runs over 300 standalone preschools across villages in Karnataka and Maharashtra. We have been able to achieve this scale within 5 years. Hippocampus aims to provide high quality preschool education to 2,00,000 children (number of pre-schoolers in Finland) at a fraction of the cost at which the country of Finland achieves this. We call it the Mission Finland. The goal post is to scale up to 5000 centres in a decade. The Hippocampus program has been adopted in Mexico and this will scale as well. 5. How does your chain of schools utilize the power of technology for improved early education? Hippocampus Learning Centres has implemented the use of tablets for improving its operational efficiency and to track and monitor student learning outcomes and teacher performance. Important metrics such as student attendance and assessment are captured regularly on these tablets. These are analysed to identify and fix challenges. Teachers and trainers are able to identify learners at difference pace levels and provide requisite additional intervention. The reports throw up some learning outcomes that are difficult achieve. These are studied by the program teams to evolve differentiated teaching-learning methodologies that are more effective. The tablets are also used for teacher trainings wherein teachers are introduced to the latest developments in early learning from across the world. These tablets are also loaded with interactive learning apps for students.